My dear friend Cat just posted recently about the loss of life on her farm. Although, it's all part of nature it still saddens me. The girls and I have become quite fond of our bird friends in our yard. We feed them daily, along with our squirrel friends. We truly love watching and admiring them throughout the day. We watched 2 mourning doves build their nest in our tree twig by twig. Every day we would peek out our window and check on them. Then the mama laid her eggs, and we would watch them delicately move them around in the nest to re-adjust. We even saw the babies hatch. Then something went wrong. I checked out our window to see how the babies were doing and both parents were gone. Flies were buzzing around the nest. I knew that couldn't be a good sign. I confirmed that one of the babies had died. I went outside to look for the other baby and oh my, I can't tell you how happy I was when I found that sweet little guy alive and moving under the tree. I quickly picked him up and got some old blankets and rags together to make him a temporary home until the emergency vet opened. K loved watching over him and making sure he was warm enough. He was a very tiny thing, his eyes weren't even opened yet, but I hope they are able to rehabilitate him. We have our fingers crossed. These vets are amazing. Last month I had to bring in a male blue jay to them. I saw the poor guy get run over by a car. The technician thought he had a great chance though. The girls and I choose to have hope that our feathered friends will be ok. It may sound silly but seeing what these animals have to go through really makes me cherish what little time we have. oh my! How sad and yet how lucky you found one alive! Just the other day a bird hit our window and wasn't able to fly. It seemed fine except it wasn't able to use both legs to stand up but the wings seemed okay. Anyway, I put him down in some grass where he couldn't fall anymore and an hour later he was dead. :( It's nature but it can be cruel. This is such a meaningful lesson for your girls! Teaching them compassion (that will last a lifetime!) is our responsibility as parents. Good for you! Oh, best of luck with nourishing your little baby bird, it's so precious, and wonderful when we pass on our care for nature to our children. I love how wonderful you are with the animals you meet... I was just thinking about the dog you cared for a few months ago. 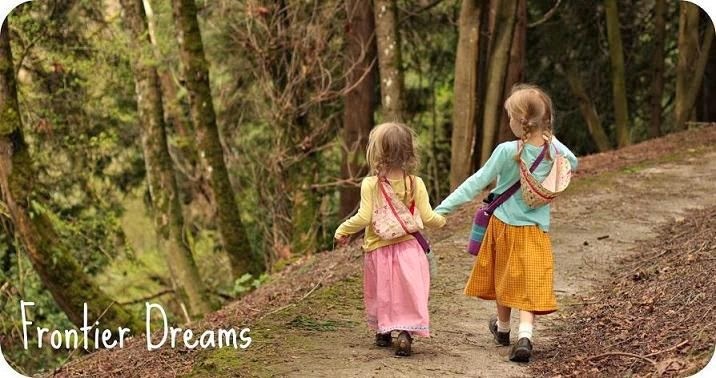 You are passing along your love of nature to your girls which is such a beautiful thing! How sweet of you! It's such a warm feeling to know that you've saved a life, no matter how small.